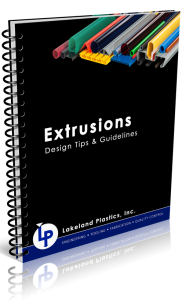 As a designer or engineer, you should be aware of the advantages of working with Lakeland Plastics as well as be knowledgeable of the plastic extrusion services guidelines that will help make your project a success. An endless variety of items, such as profiles, rods, tube and other shapes can be produced by continuous extrusion which may be too costly to produce by other manufacturing methods. Lakeland Plastics is equipped to provide prototype or small production runs, as well as high volume orders. By combining our industry best practices with your ideas and input, we can manufacture top quality, precisely engineered products for virtually any industry. When you work with Lakeland Plastics, you will benefit from the experience, expertise and reputation we have earned in our 50 plus year history. Our modern state of the art production facility coupled with ISO approved quality procedures and ongoing dedication to continuous improvement ensures your extruded plastic parts are made right the first time, every time. Our ability to extrude top quality plastic extrusions is an established fact. Scientific design, sound engineering and responsive service make our products successful in applications for virtually every industry. To help with your design and to ensure the success of your project, please take a moment to consider the following plastic extrusion services guidelines. To aid in our ability to produce a quality extrusion for you and ensure your whole project runs smoothly, designers and engineers need to provide us with some important information. Lakeland Plastics can only provide you with sound engineering guidance if we have all the many facts that may go into making your part unique. The more information and details you can provide us, the better able we are to help assist you in designing your extruded part to optimize efficiency and cost savings. The general extrusion design guidelines provided below will assist you in understanding the type of information we need for your job. Please review the guidelines and gather as much information for us, and as always feel free to call anytime with any questions you may have. Do you have an engineered print for your part? Is the extruded part fully dimensioned? You will need to make us aware of what the critical dimensions are and the tolerances required to ensure your part functions properly. Will there be other parts engaging or mating to the extruded part? If so, what are the other parts tolerances and how will they affect the extrusion? Do you know what material you would like your part extruded from? Are there any specific chemical, electrical or mechanical property requirements. Some thermoplastic materials like acrylic, have poor resistance to solvents for example. Do you have special packaging requirements? Lakeland Plastics stocks many sizes of cartons but custom packaging is readily available. If your part is highly cosmetic we may have to consider adding a protective liner, film or foam to the packaging to ensure your part will arrive in pristine condition. Is there a special color match involved? PMS color numbers can aid us in securing the proper color but because these numbers were designed more for the print industry having an actual sample of the color you want is preferable. What are the delivery expectations? Lakeland can even provide drop ships to assist you in getting your parts to their final destination. All Lakeland shipments are customer routed, but we can assist in finding a carrier for you. Will you be requiring any secondary fabrication or assembly steps? If so, then accurate dimensions and instructions will need to be provided to us to make sure all details are properly executed. Will there be any tape applied to the part? If so, we need the size, color, release liner type, foam or transfer and expected holding strength. Lakeland stocks many sizes of DS foam tapes. By following these general extrusion guidelines, you will give us the information we need to produce your custom extrusion to the highest standards, on time and at the best price. We have developed a stellar reputation in our industry for high quality service, technical innovation and manufacturing expertise. 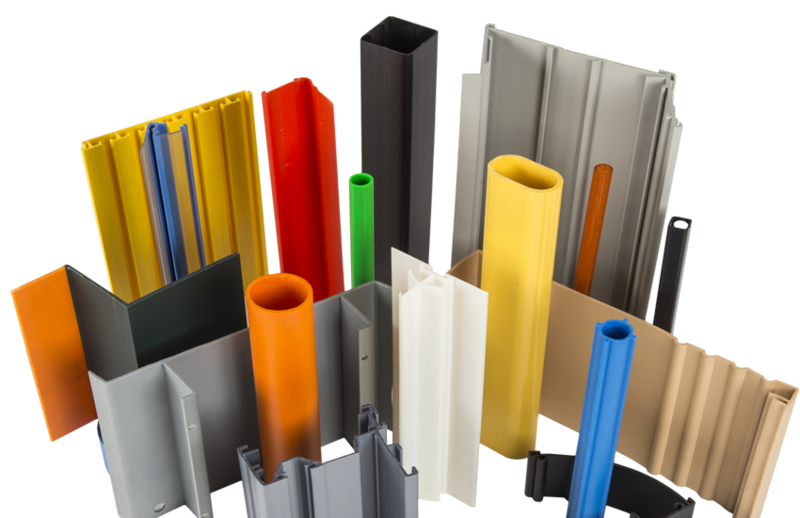 We push the boundaries of plastic extrusion capabilities by incorporating a diverse array of materials that allows us to create top quality, precisely engineered custom plastic extrusion for virtually any industry. After you have reviewed the Plastic Extrusion Services Guidelines and our custom plastic extrusion capabilities, please contact engineers at Lakeland Plastics fro your next project.